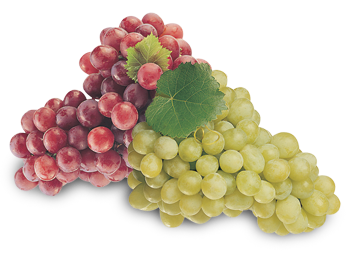 Bari Produce LLC was created to market high quality tree fruit and table grapes under the well known Bari® and Logoluso® brands. 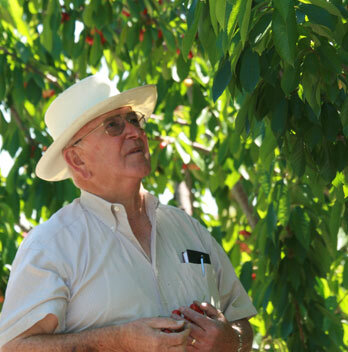 With Frank A. Logoluso Farms as our foundation, Bari Produce brings together other quality-minded growers to expand the Bari® labels and to build upon the Mr. Logoluso’s legacy. “Growing grapes is a family tradition,” says Frank Logoluso. He learned the trade from his father, Panteleao Logoluso who moved to Madera, CA from Bari, Italy around 1915. When Panteleao was a child growing up in Bari, people shopped daily in the market square to buy the freshest available produce. Frank always had fond memories of his father’s memories of the marketplace and created the Bari® label as a tribute to not only his father, but to the “old school” way of life. The Bari® brand grape label was created 60 years ago and is reserved for only the best of the best in terms of size, quality and taste. The Bari® brand today means the same as it did in 1948….consistent, top-quality fruit! Bari Produce LLC ships our produce domestically as well as internationally; reaching over 23 international markets. 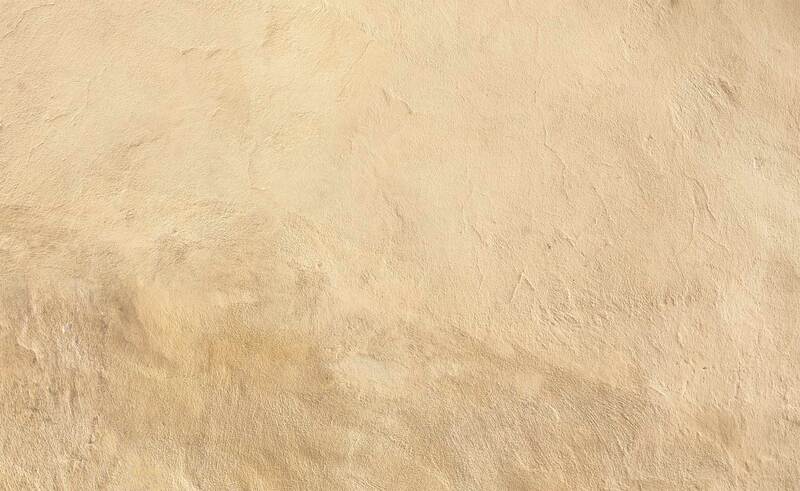 Our efforts in the field ensure consistently top-quality produce in today’s marketplace. Thank you for stopping by our website and familiarizing yourself with Bari Produce LLC. Our desire is to continue delivering our family touch in every piece of fruit we send across the globe. 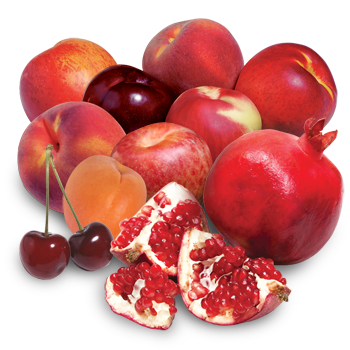 Bari Produce LLC current product lineup includes many great eating varieties of California Stone Fruit and California Table Grapes. We believe in great eating fruit, therefore anything that is packed in our BARI® label will be of the highest quality. 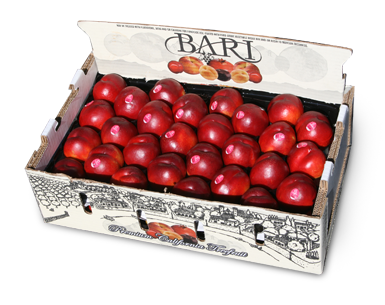 Bari Produce stone fruit is packed in the premium BARI® label. 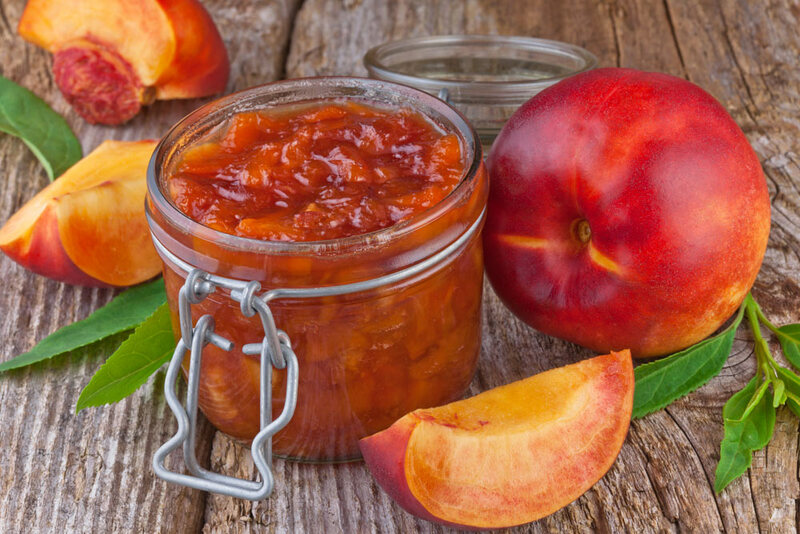 Quality, consistency and great eating quality are the expectation when apricots, peaches, plums and nectarines are placed in our label. Certain varieties have greater consumer appeal, but our efforts in the field ensure each varieties’ highest eating attributes and our efforts in packing boost quality on the shelf. Early May starts the season with apricots and several early peaches and nectarines. The Giant Lorna Apricot provides big size and big flavor in June. We provide most of our volume in yellow peaches and nectarines, with good amounts of white flesh, as well as plums and pluots. 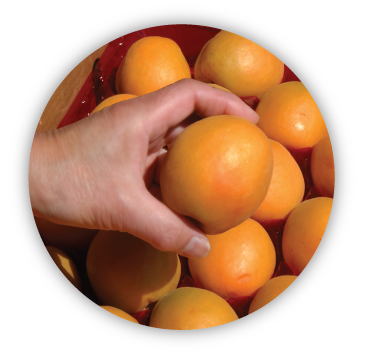 Crazy Apes™ apricots are the biggest, earliest apricots coming out of California. Starting in late April, jump on these giant, early apricots for one of the biggest taste sensation in the produce section. 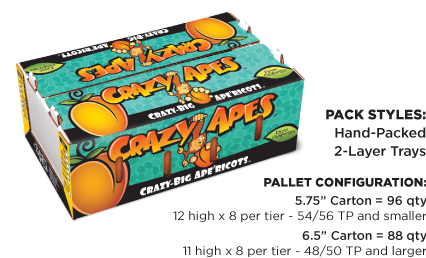 ~Crazy Apes™ apricots are packed with nutrition and are only available during a small window. Their size, color and flavor mark the beginning of summer. ~Crazy Apes are stuffed with Vitamin A, Vitamin C, Beta Carotene and fiber. ~Crazy Apes are hand-picked and hand-packed to minimize bruising. 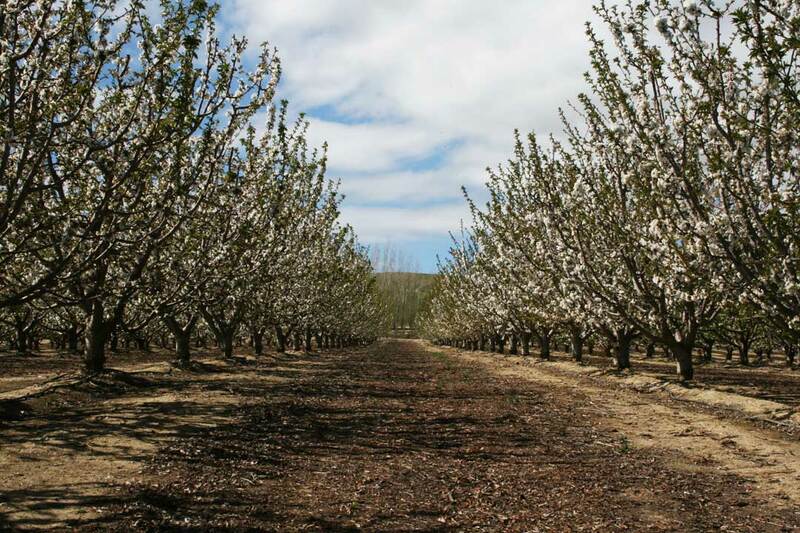 ~Our extra large apricots come early because they are grown in the micro-climate of the Panoche Hills in California’s western Fresno County. 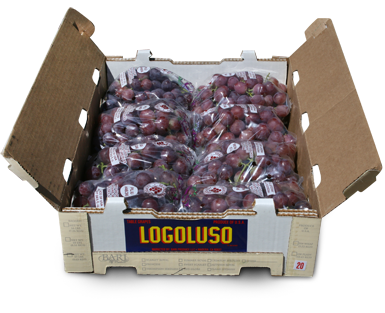 Bari Produce is best known for our BARI® and LOGOLUSO® table grape brands that have been in existence for well over 50 years. Quality, consistency and great eating quality are the expectation when grapes are placed in these labels. We put a lot of energy into our grapes during the off and growing seasons to bring out their highest eating attributes. Our blend of new varieties (Autumn King & Scarlet Royals) as well as tried-and-true varieties (Thompson Seedless and Crimson Seedless) allows us to provide a full spectrum of great eating grapes. We’ve included some of our favorite recipes, using fresh fruit. Our list includes everything from the old-fashioned to fresh new twists. 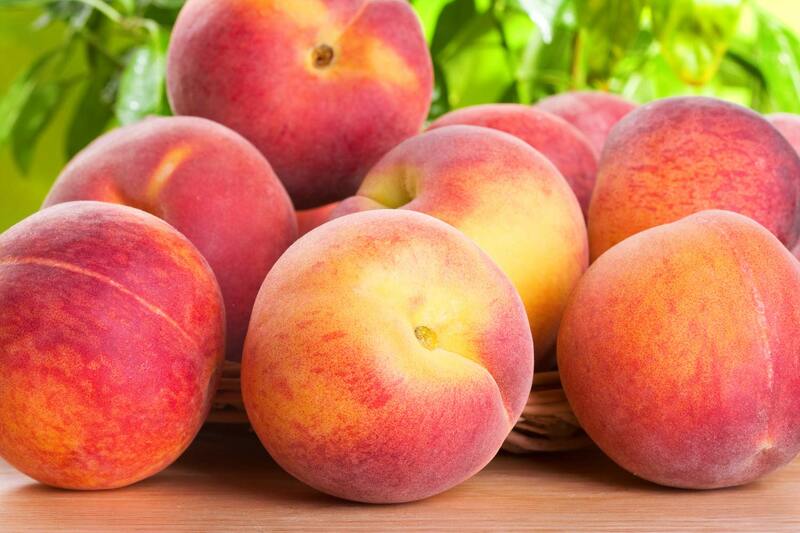 Learn how to include peaches in a power smoothie or a tasty desert to help cool off in the summer. We’ve also included grandma’s own peach pie recipe. Mmm Mmm! Our other recipes will show you new ways to enjoy nectarines in a fresh fruit salad or add apricots for a sweet, savory chicken dinner. 2 cups Orange Juice 8 strawberries, hulled. Pour into glasses and enjoy!!! Care to stay informed via a weekly e-mailed price list? Bari Produce does not collect visitor data from our site. Bari Produce does monitor the number of site views and other non-visitor specific data concerning the performance of the site in general. Regarding information that is provided to Bari Produce; Bari Produce does not sell, give, or trade any information to any third parties for data-mining, marketing, or any other purpose. Your privacy is of the utmost concern to Bari Produce. The information on our website, and any information we solicit from you, or that you provide to us in response to what you may read on our website, is not intended as an offer to sell, or the solicitation of an offer to buy, any goods or services. It is for informational purposes only.